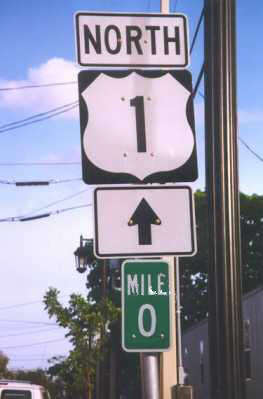 The beginning of Route 1 sign, to me, is a landmark. I live at the other end of Route 1, approximately 1600 miles away. I've traveled on it all my life. A route marker for a highway might not be a landmark in the strictest sense, but I enjoyed finding it.